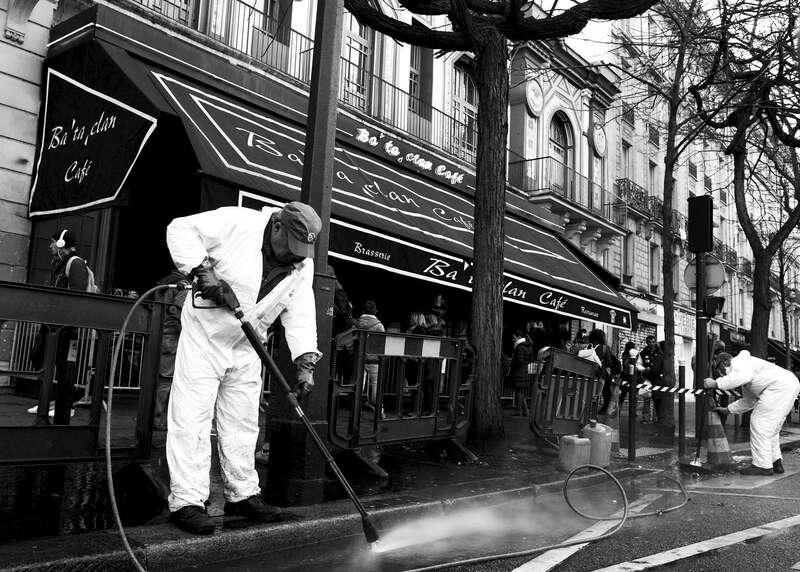 Employees of Property of Paris clean the sidewalk in front of the Bataclan, after the makeshift memorial that was created after the attacks was removed across the street, on December 22, 2015, Paris, France. 90 persons were killed during a concert, during the November 13 attacks. Hundreds of people come everyday to reflect at this makeshift memorial as well as the ones that were created on the locations of the attacks.